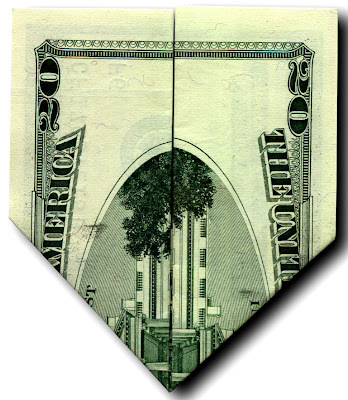 Was the bombing of the twin towers and the pentagon a set up? Or was it the real thing. Personally, I find it amazing that when looking at all the evidence anyone would think this is anything but a set up. I'm going show the key points why there is no way in hell that this happened the way they said it did. -Hijackers flew commercial planes into the twin towers. 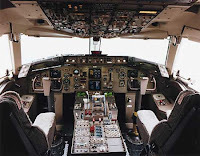 There are over a hundred commercial airline pilots that say there is no way they could have done what they did. It's on record that these so call hijackers supposedly trained in a 172 single engine Cessna and used those skills to fly a 757 and a 767 commercial airplane into the towers. 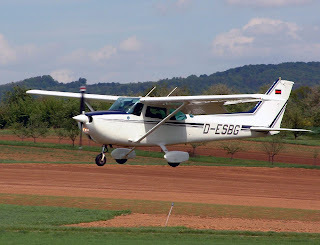 First are some pictures, this is what a single engine Cessna looks inside and out. And here we have 767 and 757 inside and out, the cockpit for the two planes are for the most part, identical. 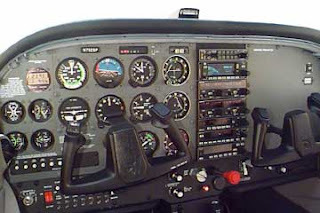 Make sure to open the full picture of the cockpits for details and try to count the amount of switches in each one to compare. 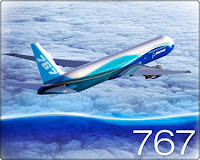 Get a detailed look of the 757 cockpit here. -The collapse of the two towers. First off, the National Institute for Standards and Technology (NIST) have admitted they have no explanation of the free-fall collapse of the two towers. After a long and drawn out scientific study on the free-fall speed on which the buildings fell, it showed only one likely scenario to where this could have been only possible if done in a controlled demolition. It doesn't state those exact words, but understand the NIST is another branch of the government. There are NO official documents explaining on how it would be possible for buildings to fall in the area of most resistance while falling at free-fall speeds. When looked at scientifically, it completely violates the laws of physics. I've heard about many people inquiring on a official full simulated collapse of the twin towers. To this day there is still no official explained scenario of how this was possible except for the NIST's "initiation" scenario which is totally impossible according to the laws of physics. If I still don't have your attention, maybe the fact that steel doesn't even start to weaken until it reaches 1000 degrees let alone melting point at1,500. 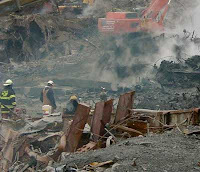 NIST's official report even concludes that neither of towers steel beams reached temperatures exceeding 500 degrees. I'll put it this way, anybody who knows a thing or two on how physics works should know that even if all the vertical supports were to have failed on the few floors that they claim brought the building down, it still would have had some variables on the way it come down, not to mention there was no resistance what so ever. It imploded so perfectly, demolition experts say this is one of the most precise jobs ever seen and would have taking months of planning to get them to collapse the way they did. The only way this could have happened is if beams were cut and demolition charges were strategically placed. In this famous video, you can actually hear the charges going off and see small explosions below the part of the building that's falling. Here is a video that recorded and analyzed the explosive sound waves that were heard BEFORE the collapse. 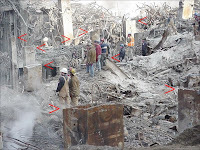 Here are some pictures of ground zero and the beams that have clearly been cut. 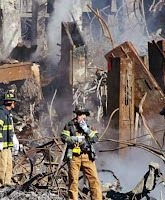 -World Trade Center building 7 collapsed from the force of the other towers collapsing. This building was NEVER HIT BY ANYTHING and just fell from the force of the other buildings. WHAT!!! That make's no sense! Buildings don't just fall the way this one did. Watch this video of a controlled demolition. Now here's building 7 of the WTC. This could have only been done with a professional demolition team, buildings just don't fall that easily. I mean, it's not some old historic building built out of brick a 100 years ago, this building was made of STEEL. Now watch that video one more time and notice the perfection of the implosion. A news anchor even used the word "implosion". -Wikipedia: Building implosion is a term in use in the Controlled demolition industry. It refers to strategically placing explosive material and timing its detonation so that a structure collapses on itself in a matter of seconds minimizing the physical damage to its immediate surroundings. I leave you with the IMPLOSIONS of the South Tower then the north. Keep in mind the rate at which they fall, this is all the evidence you or any body needs, this would be impossible without the help of explosives. The truth is out there all you have to do is seek it, learn what other people know and what others are saying, attain the knowledge for your self and attain your attainable mind.